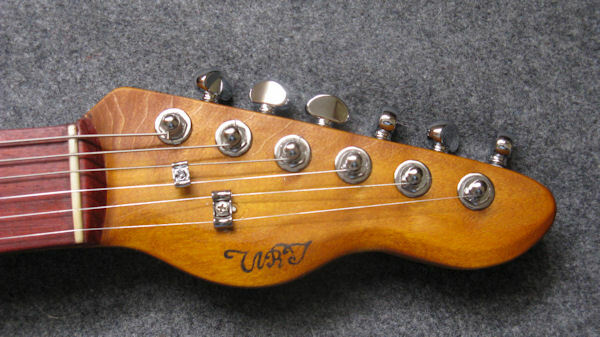 This single-cutaway, 3-pickup guitar is a blend of two classic styles. 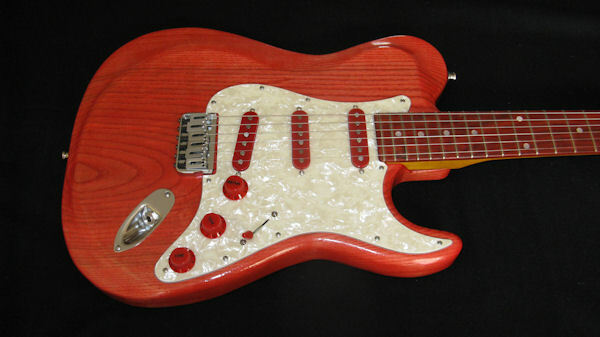 The transparent cherry red Swamp Ash body is enhanced by a white pearloid pick guard, red pickup covers with matching control knobs and switch knob. These features make it a strikingly beautiful instrument. This stunning 'show-stopper' delivers sound and sustain that will not disappoint! 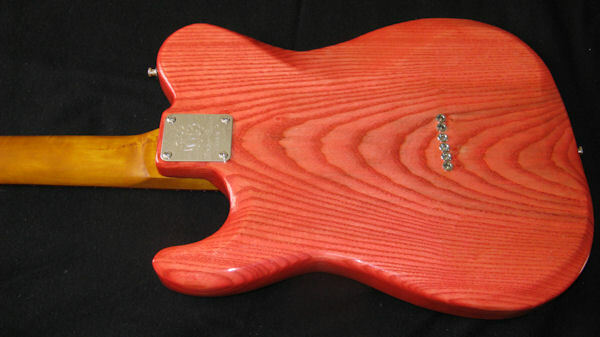 Beautifully hand carved swamp ash body, has a transparent finish for maximum grain enhancement. Satin-finished, bolt-on maple neck, built for speed, has bloodwood fret board with pearl dot inlays and 12-inch radius for a low action. 3 Stew-Mac Golden Age single-coil pickups (with extra hot versions in the neck and bridge position) deliver vintage tones, suitable for country, rock or blues. Master volume control, 2 tone controls and 5-way pickup selector switch. Pickup cavities, control cavity and underside of pick guard thoroughly shielded with conductive copper tape to reduce noise, hum and radio interference. 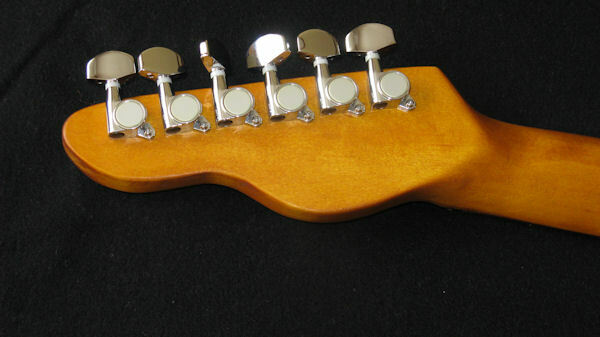 Hipshot Hard Tail, chrome-plated, solid brass bridge has 6 individual fully adjustable brass saddles. Gotoh sealed, high-quality 6-in-line tuning machine heads, with 16:1 gear ratio.